Gallinari delivered 20 points (7-17 FG, 1-5 3Pt, 5-5 FT), 11 rebounds, five assists and one steal across 31 minutes in the Clippers' 119-116 win over the Nets on Sunday. Gallinari stepped up in the close win with a team-high rebounding total and the top score on the starting five as well. The veteran wing scuffled some with his shot Sunday, but he's been enjoying the most efficient month of his season thus far. Factoring in his production against the Nets, Gallinari has scored at least 20 points in six straight games, his longest such stretch of the season. 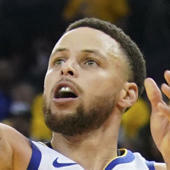 Moreover, the 30-year-old is shooting 55.8 percent across seven March contests, including a blistering 51.4 percent from three-point range, with both figures comfortably qualifying as his best in any month of the campaign.